Skindred are a band with a unique sound. Its a bizarre sounding idea, a mix of heavy metal, punk and reggae - what the band have dubbed "Ragga metal". It sounds like something that shouldnt work, but somehow it does and it sounds great. The band are famous for their energetic live shows, but to write them off as purely a live band would be to miss out on some great music on their albums (although I have to admit they are at their best live). 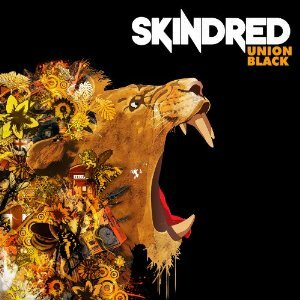 "Union Black" is the fifth album from Skindred. The tracks vary from almost pure metal to "Guntalk" which is almost pure reggae, with most beign somewhere between these two extremes. Skindred are a band with the potential to widen a lot of people's musical horizons. Many heavy metal fans dont listen to other types of music, so a genre crossing band like Skindred might open their minds to the fact that there are great tunes in other genres of music such as Reggae. Equally they could well attract people who wouldnt otherwise have listened to heavy metal. This is a great album that you can enjoy listening to at home, but nothing can beat the power and energy of a Skindred live show, so buy the album, learn the songs then get yourself to a Skindred concert for a great time.